All of our Aprons are custom-made-to-order and handcrafted to the highest quality standards. Spice up your cooking wardrobe with a custom printed apron! Each apron is constructed from a premium cotton-poly blend that is ultra-comfortable and easy to clean. Finished with double-needle stitching on the seams for extra durability. 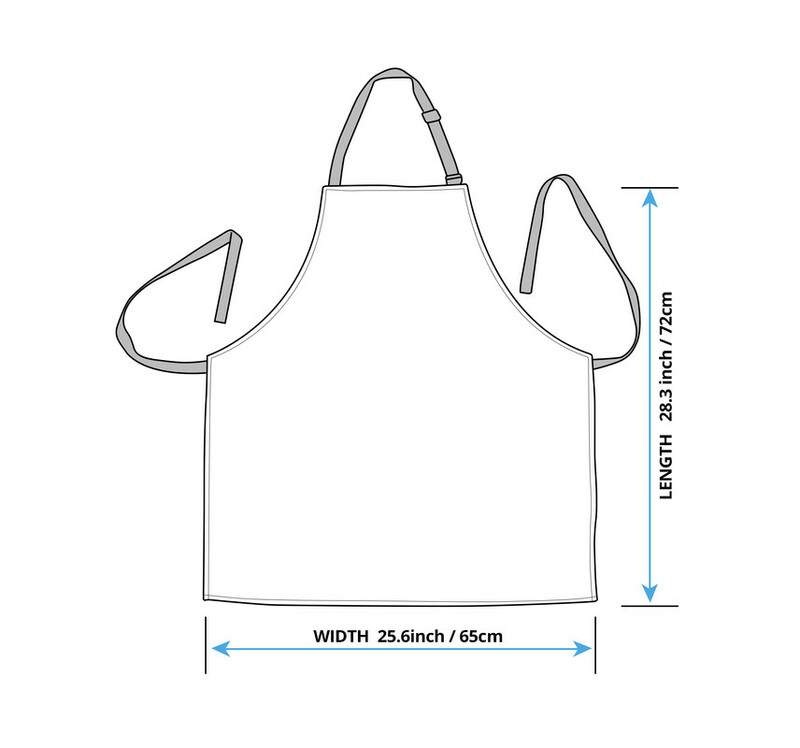 Each apron is custom printed, cut and sewn just for you when you place your order – there may be small differences in the design on the seams due to the custom nature of the production process!